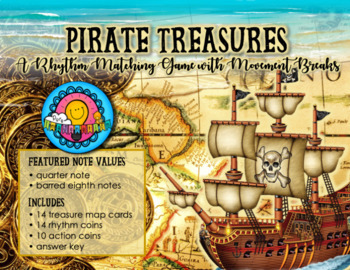 This pirate-themed game is an excellent way to assess your students' recognition of quarter note and barred eighth note rhythms in a fun way. Students love that it includes movement breaks, and teachers love that students are reviewing & learning but think they're just having fun! 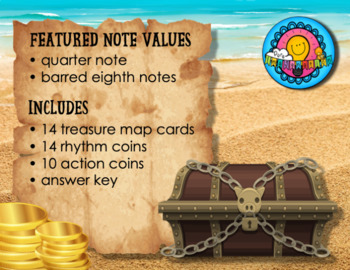 These work great for an end-of-class activity, station, or as part of a sub plan! 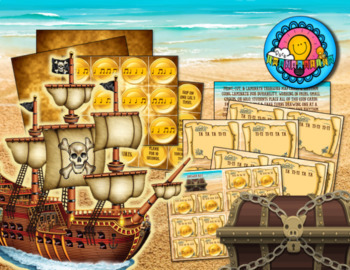 Simply print, laminate for durability, cut & put to use!